The Amami Islands (奄美群島) are a group of tropical islands in Kagoshima Prefecture about 300 km north of Okinawa and about 380 km south of Kyushu. 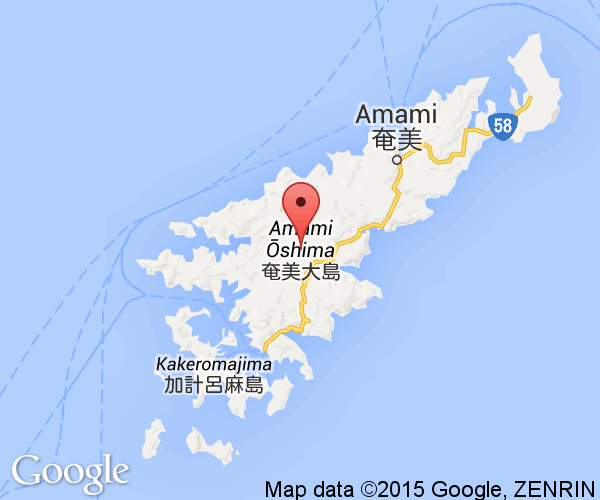 Amami-Oshima (奄美大島) is the third largest (715 sq. km) of all offshore islands in Japan and is the most populous of the 8 inhabited islands in the group. The island's climate is tropical with an average year-round temperature is 21°C. Sugar cane, bananas, rice, sweet potato, guava and mangos are all cultivated on the island. 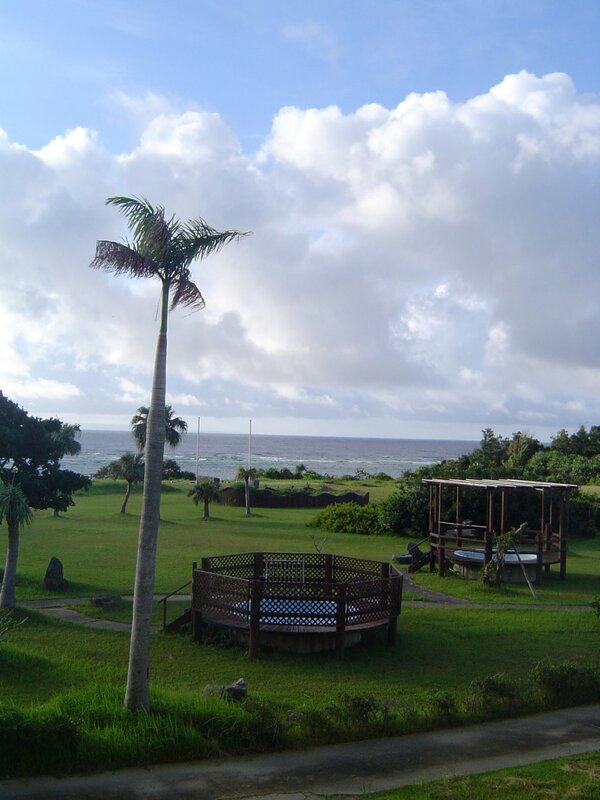 The island marks the northern most point in Japan where mangos can be cultivated. Compared to Okinawa or even Yakushima, the island is overlooked by most tourists and undiscovered by the Japanese public. The islands like Okinawa were part of the Ryukyu Kingdom until virtual annexation by the Daimyo of Satsuma in 1624 and formal annexation of the entire Ryuku Islands in 1879. 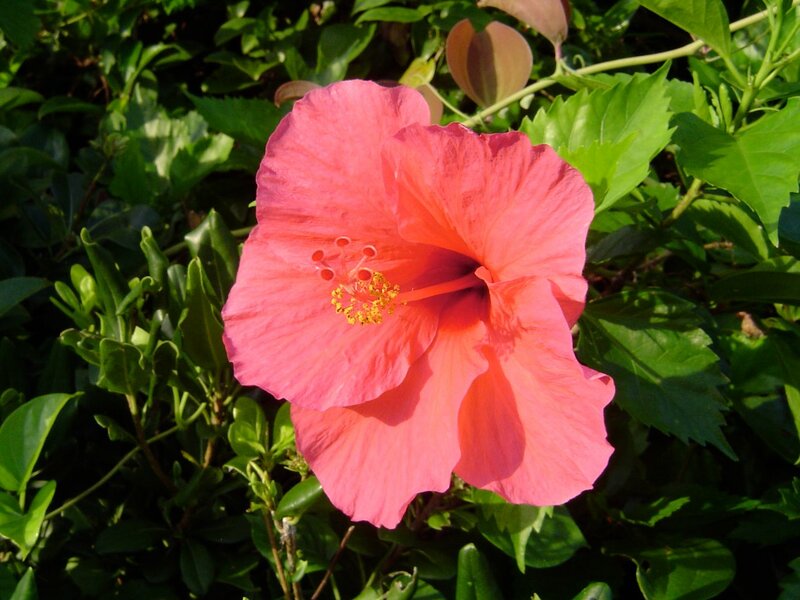 The island is closer culturally to Okinawa then mainland Japan, but it has many of its own traditions. The Oshima Pongee (woven silk fabric) is noted for its distinct somber woven patterns and is a famous export. Amami Park overlooks the ocean nearby Amami Airport. This cultural center is usually one of first places visitors come to. Displays show the area's unique wildlife, culture and environment. Video walls display life size videos of local dances and local songs are introduced in another section. Free admission. 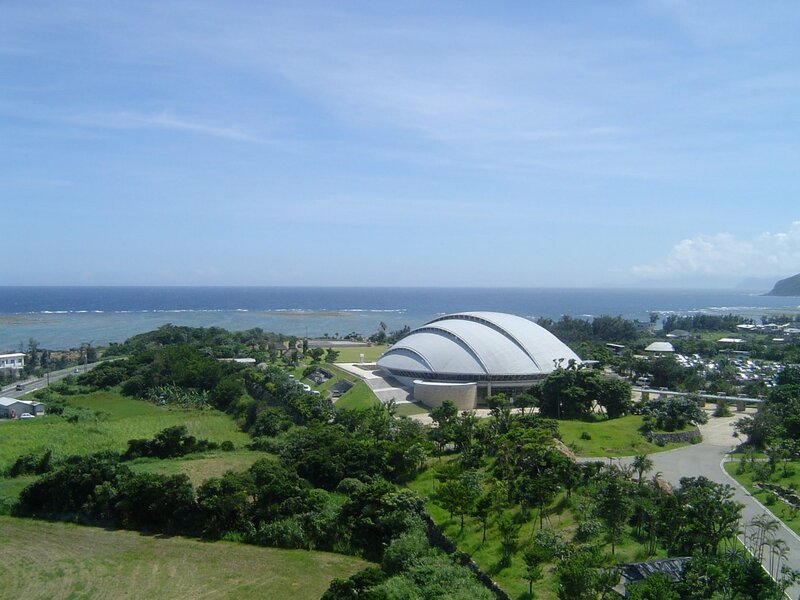 The Tanaka Isson Memorial Museum of Art is located on the grounds of Amami Park. TANAKA Isson (田中　一村 1908-1977) was a talented Japanese painter who moved to Amami Oshima after finding inspiration in the beauty of the island at the age of 50. Sadly, distance and unfortunate circumstances meant few learned of the masterworks he created while supporting himself working in the pongee factories. The museum showcases the stages of life of one of Japan's greatest artists. 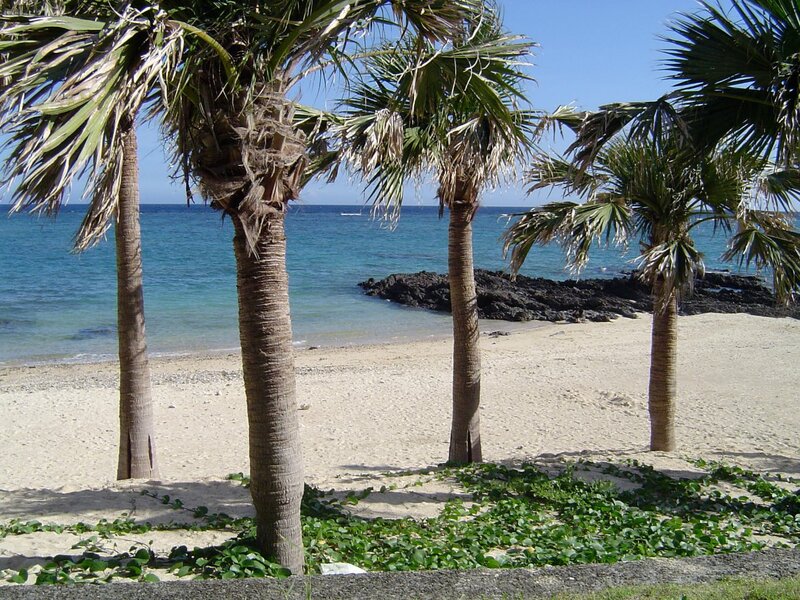 Amami is famed for the creamy soft sand called "star sand." 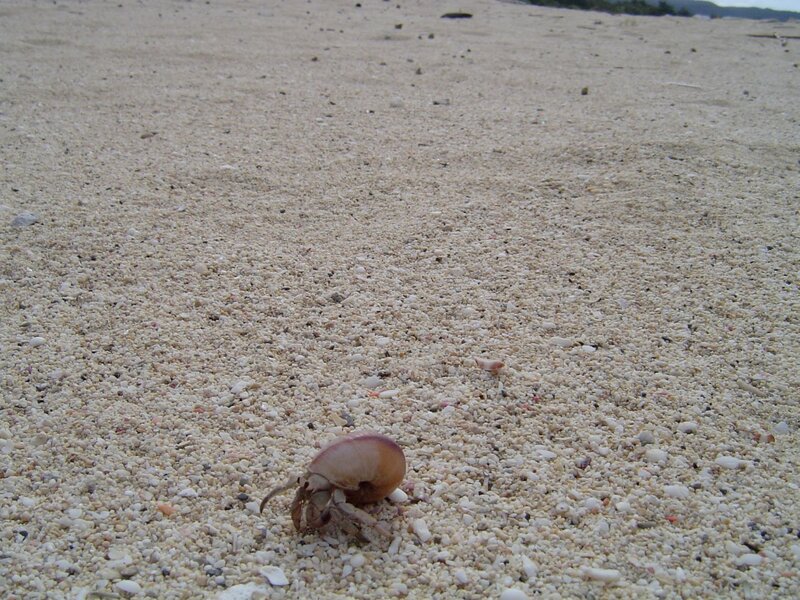 The sand is actually the remains of shells of billions upon billions of tiny living forams (Foraminifera). 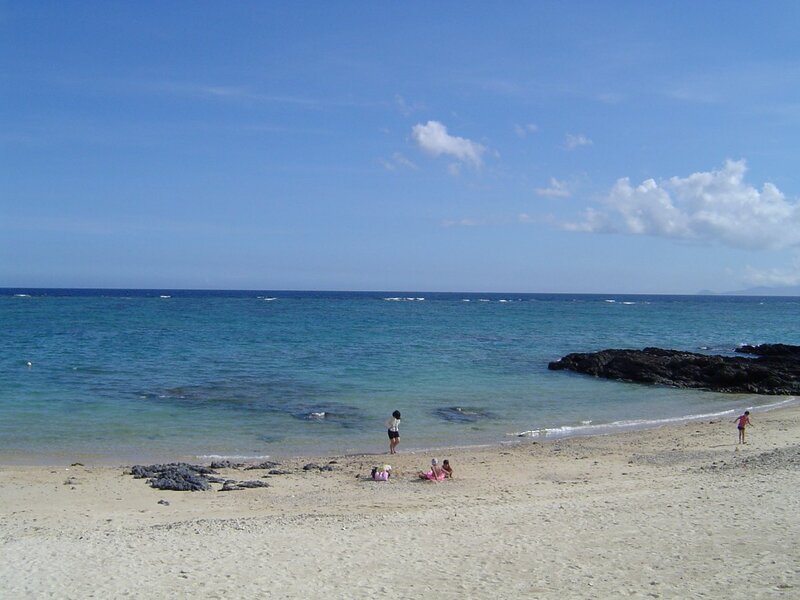 South of Amami Airport is a popular beach (10-15 minutes by car), restaurant and tourist shop that many people go to. Besides here, the coast has a large number of good clear swimming beaches. Traveling the entire coastline by car will take at least a full day. Nowhere is the diversity of life on Amami more apparent than at Mangrove Park. Hour long guided tours (Japanese only) by kayak of the mangroves leave from behind the park center. The round trip down the river shows off many of the unique fish, plants and crabs of the area. Sandals for wading in the mud are provided. 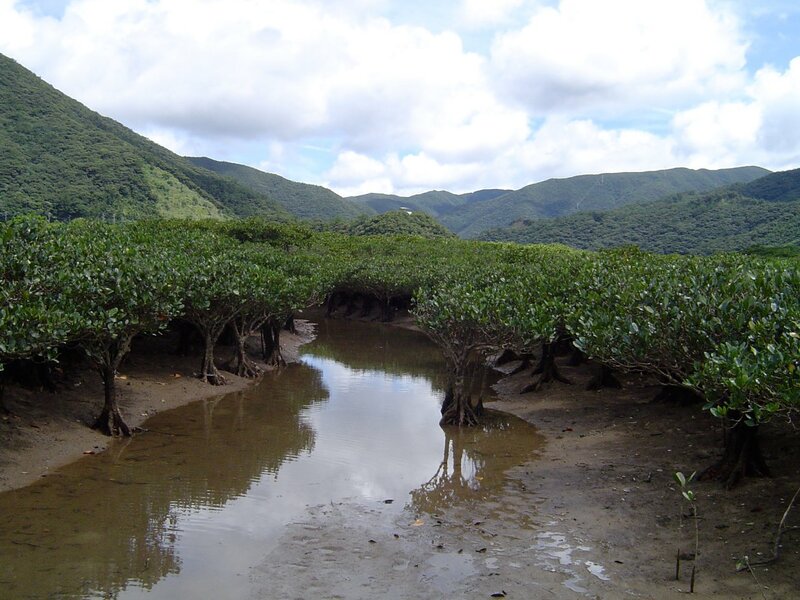 The mangroves are around the middle of route 58 and over an hour and a half from Amami Airport by car. The endangered Amami Rabbit is a nocturnal rabbit that is part of a group of animals termed "living fossils". This compact dark brown furred rabbit was once common across Asia. Today only remain on Amami-Oshima and nearby Tokushima. Hunting, forestry, introduced animals and small litter size (1 or 2 babies) all have played a role in their near extinction. The poisonous Habu Snake is located on many of the Amami Islands and should be avoided. Major hotels on the island are quite eager to provide free transportation to and from the airport. Buses are available in some areas, but the service is no replacement for a car. Renting is not cheap, but driving is very convenient and the island is simple to navigate. Traffic lights sparse and most island drivers are slower paced than on the mainland. Traveling the length of the island by car takes well over two hours on route 58. Beware of the few drivers who clearly think your bumper is something they should be attached to until they can pass. The islands around Amami-Oshima are serviced by Amami Airport in the north of the island. JAL flies direct from Kagoshima Airport. Much slower passage on ferries can also be bought at Kagoshima Port, in Kagoshima City.